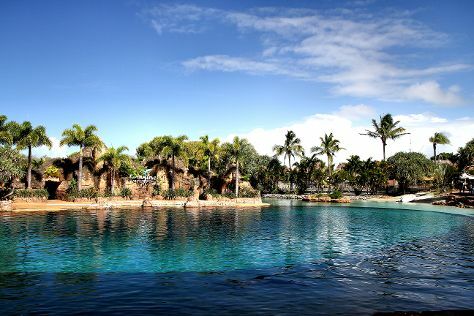 On the 2nd (Sun), get up close and personal with brilliant marine life at Sea World Theme Park. To find traveler tips, other places to visit, photos, and tourist information, refer to the Gold Coast tour itinerary planning tool . If you are flying in from United Kingdom, the closest major airports are Brisbane International Airport and Gold Coast Airport. In June, plan for daily highs up to 24°C, and evening lows to 13°C. Finish your sightseeing early on the 2nd (Sun) to allow enough time to travel to Newcastle. On the 3rd (Mon), identify plant and animal life at Blackbutt Reserve, then stroll through Nobbys Beach, and then take in the pleasant sights at Newcastle Memorial Walk. To see other places to visit, ratings, where to stay, and tourist information, read Newcastle online route planner . Traveling by flight from Gold Coast to Newcastle takes 4.5 hours. Alternatively, you can do a combination of train and flight; or drive. Expect a bit cooler temperatures when traveling from Gold Coast in June; daily highs in Newcastle reach 20°C and lows reach 9°C. Wrap up your sightseeing on the 3rd (Mon) early enough to travel back home.